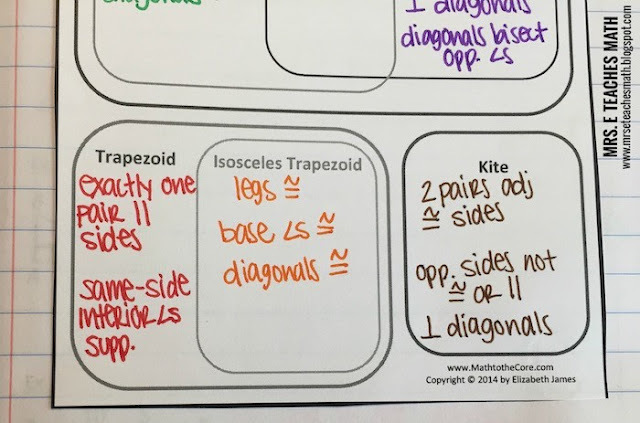 I love teaching quadrilaterals because there are so many fun activities to do! 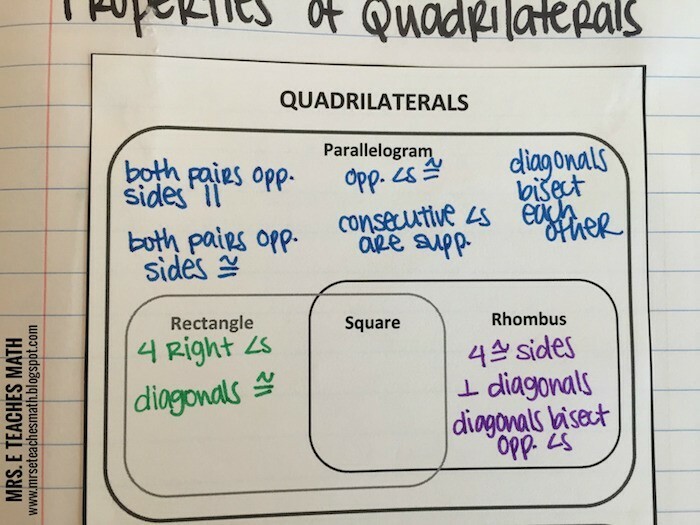 Once my students have learned all of the properties of quadrilaterals (a few lessons over several days), I like to have a lesson where they “put it all together”. 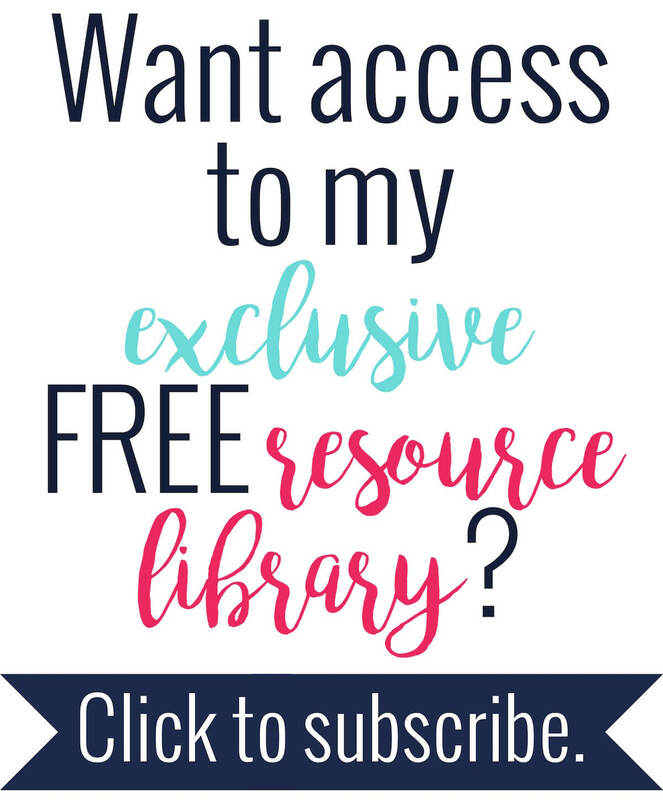 I tell the story of the quadrilateral family tree, and have students make their own study guides to help them organize all of the properties in their minds. 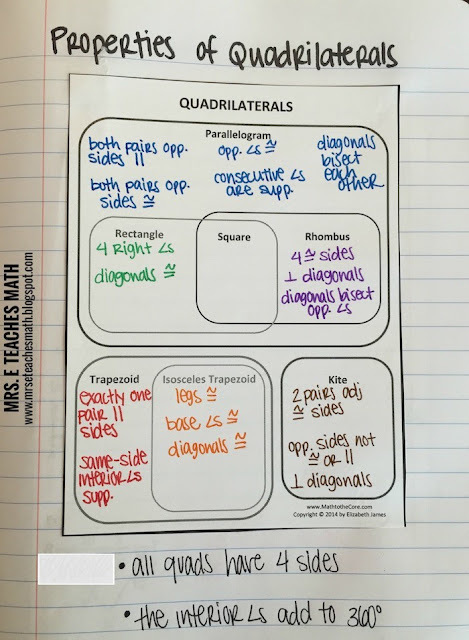 This interactive notebook page and activity would be a prefect way to wrap up that lesson! 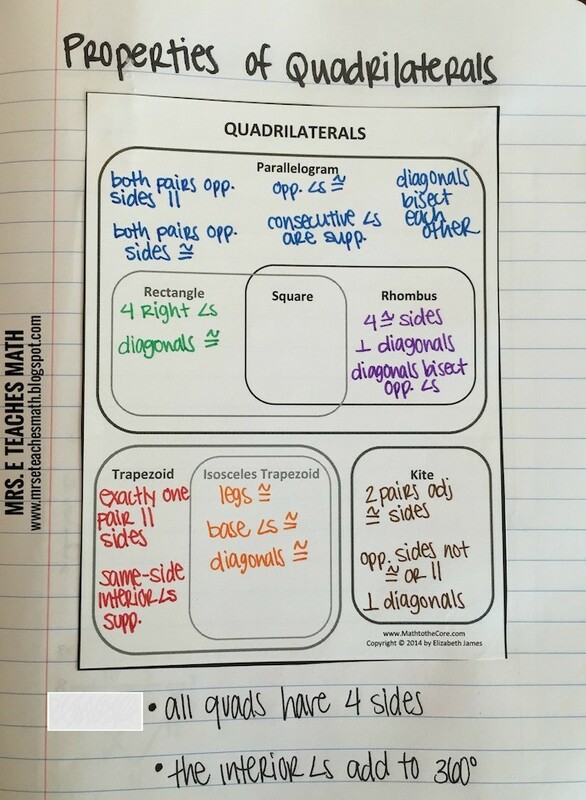 First, this is the page that would be good to use during the lesson. I color-coded the different blocks to help students see the differences between the categories. This half page was a free product from Math to the Core. 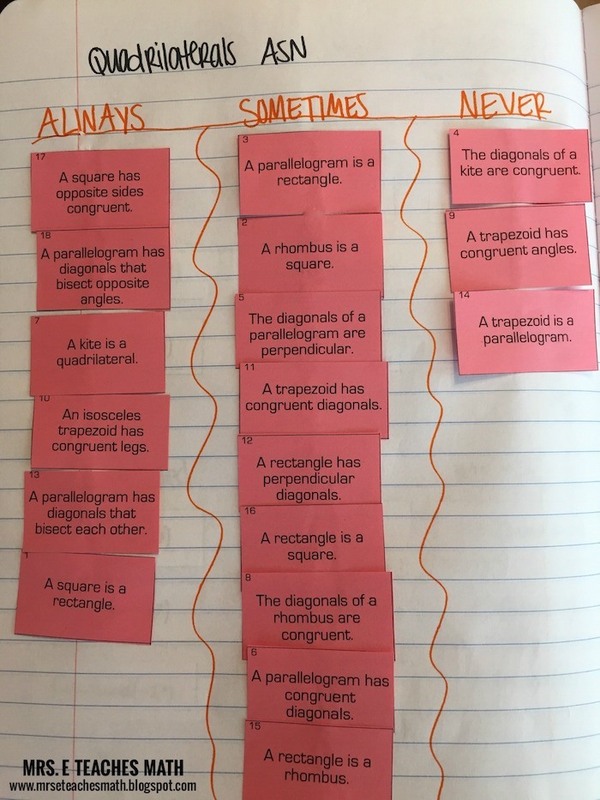 Then, on the facing page, students can complete an always-sometimes-never activity. I have the cards in my Teachers pay Teachers store. 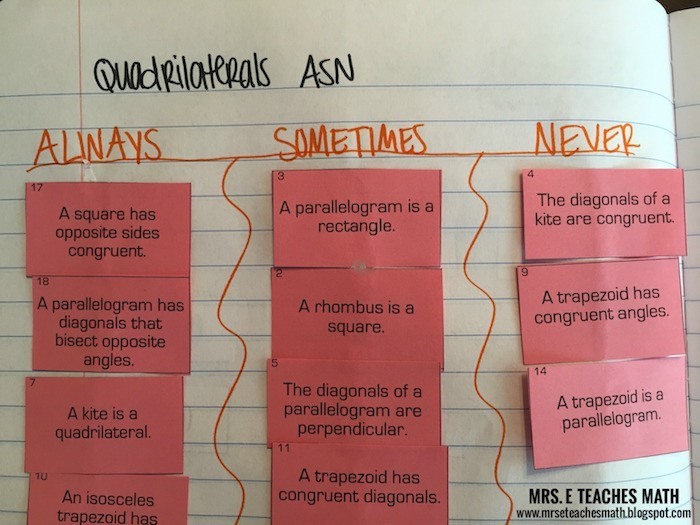 Instead of using them as a matching activity, they can be glued into an interactive notebook as a student-output activity.